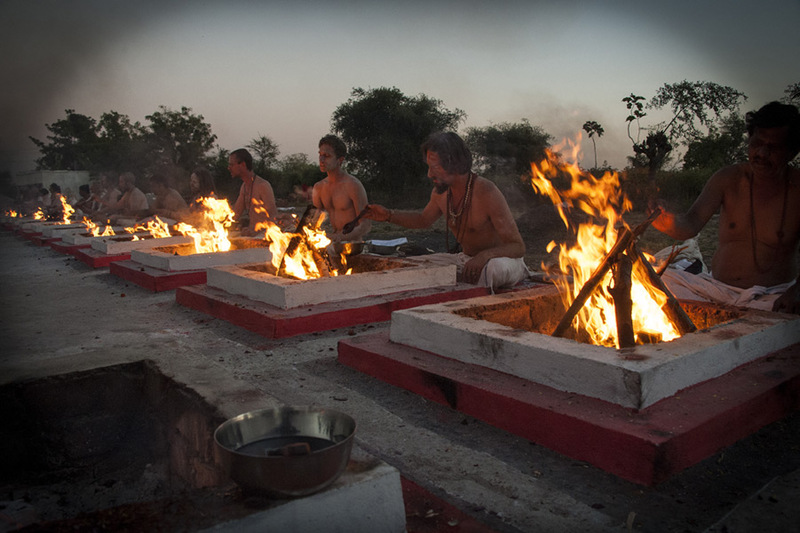 If you have ever wanted to learn the science of Yagna and how to perform these sacred ceremonies of fire, then this intensive is for you! 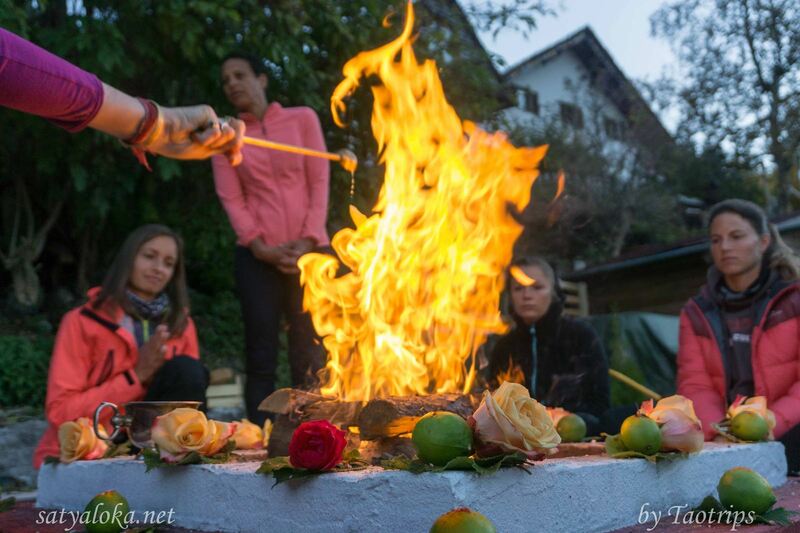 We are offering a two week immersion during Navaratri where you will be guided and trained in the process of holding Yagna. 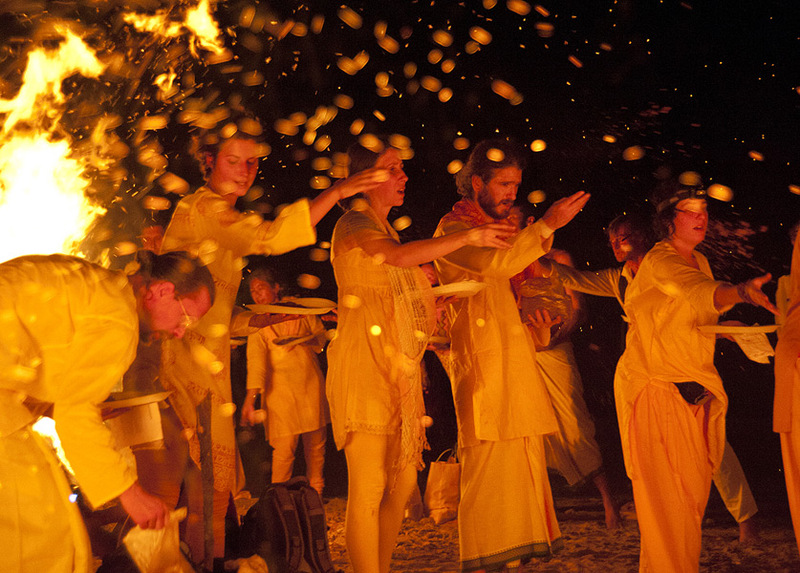 Radasi who is leading this event has been dedicated to the language of fire for over 12 years. 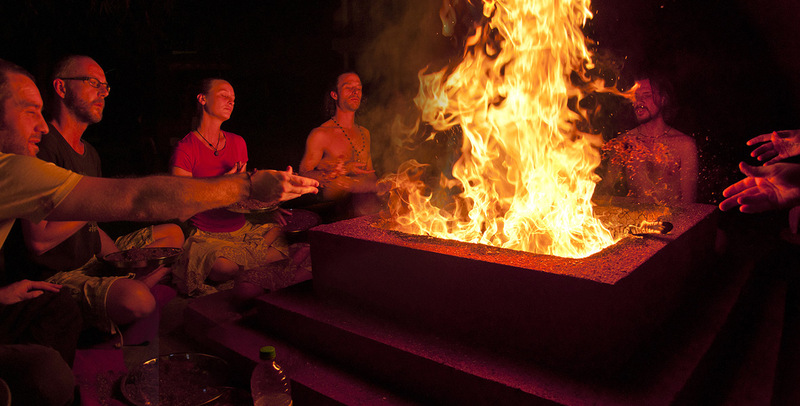 She is renowned in her ability to work with fire, to recite mantras and combine this practice with devotion. 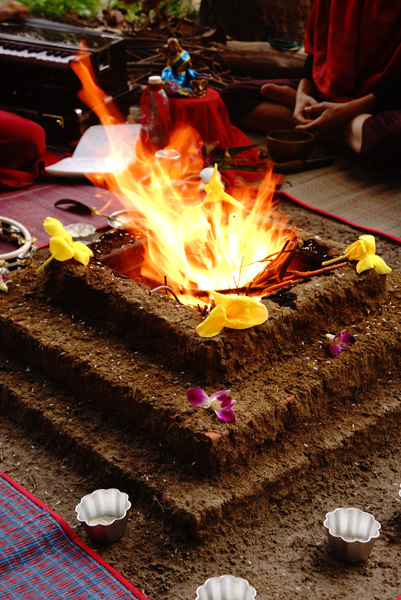 She has conducted countless fire ceremonies both personally and for large groups of people over the years. She is also versed in many aspects of Tantra and will guide the participants of this training with all of her years of experience and passion for this path. 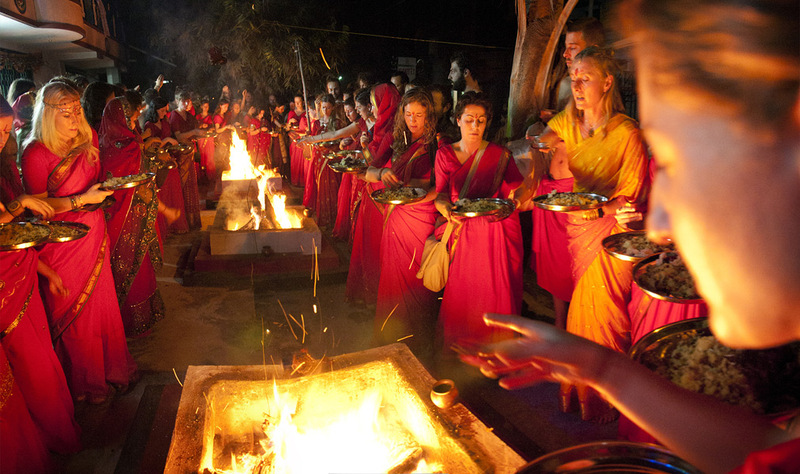 This particular Navaratri offers an unique opportunity to be at the Ashram during a once in a lifetime opportunity, as during a period of 33 days which spans over Navaratri and we will be charging the Kailash Yantra that has been in construction for over a year. What this means is that the blessings that are distributed through this process will come to all who are in the field of this energy at the time. 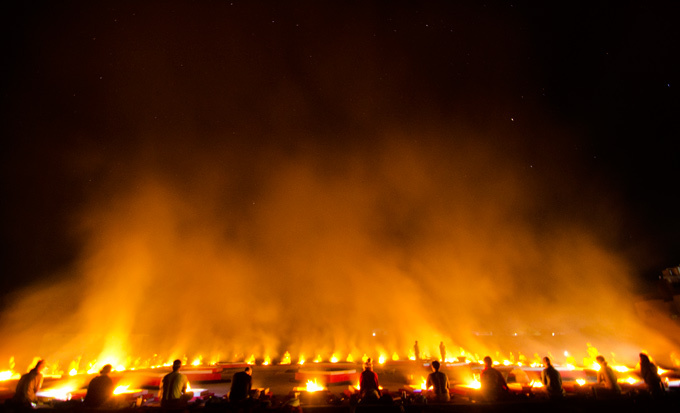 There will be nine hours of fire ceremony being conducted each day by a team of 16 disciples, so the yagnas from this particular event will also be a contribution to this process. Again we say this is a once in a lifetime experience that even we cannot comprehend yet. One of the main aspects to Navaratri in our tradition is the creating of a Yantra which invokes a particular aspect of the feminine energy. This is usually a Yantra of one of the Maha Vidyas, the Wisdom Goddesses from the tantric tradition. During the Navaratri we invoke and worship the Divine Mother in the form of her yantra, which can be described as her most purist manifestation. Yantras are often made with coloured rice, yet on these special occasions we make the Yantra with sprouted wheat grass, in both cases we charge the Yantra with specific Mantra. The spouted wheat grows over the retreat days as an embodiment of the Goddess herself. 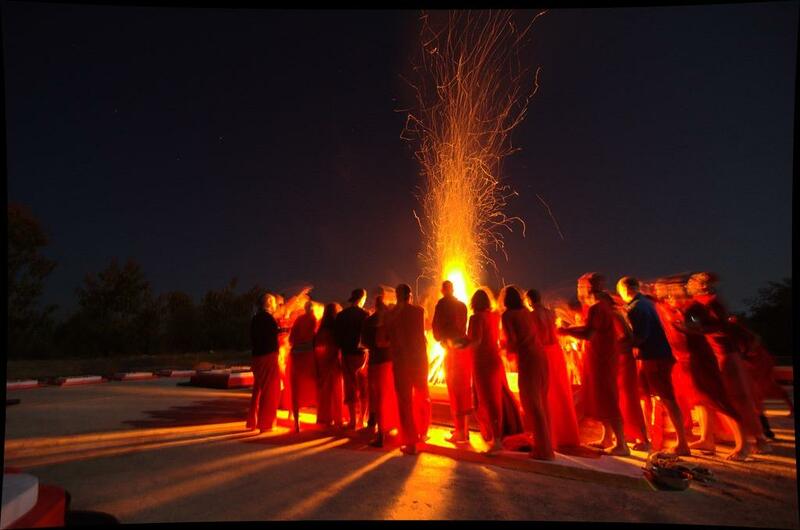 This sadhana immersion is offered in the grace and presence of Guruji Maharaj and Dipti Baswar (Guruji’s wife) with Ra Lalita Dasi (founder of Satya Loka school of Traditional Yoga & Tantra and long term disciple and teacher of this lineage).